Regardless of whether you have just recently taken a venture into the exciting world of e-commerce or you are a seasoned player, the fact of the matter is that this is an ever-evolving industry. The solutions of yesterday might not necessarily be able to address the needs of today and tomorrow. 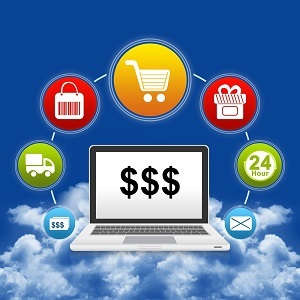 Therefore, the entire concept of e-commerce is undergoing a profound transformation. The key question is what features tend to define the best ecommerce platform. Let us list a handful of undeniably powerful traits, as these will help you to successfully identify those systems worth examining in greater detail. One-of-a-Kind Solutions for Your Daily Business Needs. Generic e-commerce solutions are going the way of the dinosaur. Those which have been unable to adapt to a changing marketplace are destined to descend into anonymity. They are now being replaced by fully customised options that are based around the requirements of the business. This only stands to reason, as it should be obvious that the virtual sales needs of an online florist will be much different when compared to those associated with a currency trading platform. However, the changes do not stop here. Tracking invoices and client payments. Obtaining sales and client-oriented information (such as the frequency of purchases and shopping habits). Providing real-time customer care solutions (including live chat widgets and integrated email). These provide the owner and any relevant stakeholders with a decidedly “smart” approach; offering the insight and clarity necessary to enact future changes as may be required. Which one is better to ask within a real-time sales environment? By better understanding your ongoing performance, it is much easier to adjust any strategies in order to enjoy a higher return on investment (ROI). It is absolutely critical to adopt a proactive stance if you hope to take full advantage of the online marketplace. Let’s never forget that clients will simply look to other portals if they are unable to obtain superior e-commerce solutions on your website. In this case, the grass could very well be greener elsewhere. The best platforms boast the capability of addressing changing needs while still providing you with a host of innovative tools. If you are able to identify the main hallmarks of such software, success is only a click away.